Vita Liberata tan is the purest in the tanning world. Made using natural, certified organic and Ecocert ingredients, Vita Liberata tans nourish the skin, ensuring your glow looks radiant and fades patch-free, just like a natural suntan. 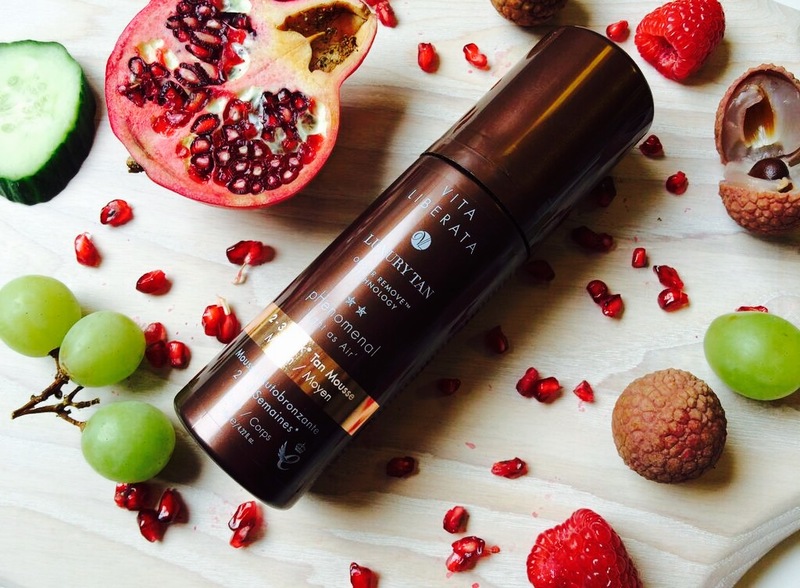 With zero parabens, preservatives or other chemical nasties that can dry out your skin, Vita Liberata tans give you a 100% healthy and completely natural glow, all year round. In fact, our tans are so natural they have been officially rated ‘clean’ by independent beauty comparison app Think Dirty. What natural ingredients go into a Vita Liberata tan? Read on to find out more! The extract from this plant is full of vitamins C and E and has a host of skin benefits including anti ageing properties that improve the skin’s firmness. It also hydrates, moisturises, conditions to give you softer, younger looking skin! Cucumbers are rich in vitamin C, a powerful antioxidant that protects skin from damaging free radicals and helps fight premature ageing. Cucumber extract also contains vitamin B-5, a compound that helps your skin retain moisture, helping to keep skin hydrated and maintain your glow for longer! Lychee extract is a great source of vitamins B & C which both have powerful antioxidant and anti ageing qualities. Vitamin C helps boost collagen production, meaning plumper, more youthful looking skin, and Vitamin B helps skin retain moisture to help your glow fade naturally. This vibrant red superfood contains anti microbial, anti-inflammatory and healing properties. Packed full of powerful antioxidants, the extract helps to neutralize free radicals, helping your skin resist the aging process caused by every day pollutants. It’s in our tan to keep your skin feeling healthy and conditioned for long-lasting natural radiance. This extract is a wonderful source of vitamins A & C and offers a wide range of antioxidant benefits. Vitamin A is also known as retinol, an extremely effective cell-communicating ingredient, which means it can connect to almost any skin cell and tell it to behave like a healthy, younger skin cell. This super smart vitamin helps prevent wrinkling and increases collagen production – amazing! Papya extract is bursting with Vitamin C, our favourite source of antioxidants, and a must-have for helping build and produce collagen – the natural way to firmer, plumper looking skin! benefits and is packed full of antioxidants – it ranks among the highest fruits for its antioxidant strength! Thanks to this there are many repairing, conditioning and moisturising qualities associated with this super berry. Think younger, brighter looking skin and a natural glowing tan. Get Allison Tolman’s Golden Globes sunless tan!